Collections management, interpretation; advice, research, exhibitions ; deal with enquiries from staff and public, students and researchers; work with volunteers and student placements; host study days for specialist groups, give talks. 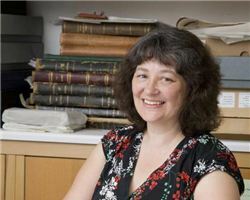 I have worked in the museum/heritage sector for over 25 years, specialising in textiles and dress as a curator, author and dress historian; joined RAMM as a consultant initially. Combine with work as National Trust Costume Curator at Killerton.